South Korea’s financial regulator has concluded Samsung BioLogics inflated its value ahead of its initial public offering (IPO) in 2016. The CDMO says it is filing an administrative lawsuit to clearly prove the legality of its actions. 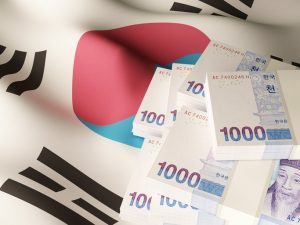 In April this year, South Korea’s financial regulators accused contract development and manufacturing organization (CDMO) Samsung BioLogics of accounting fraud, following a yearlong audit. Today the Securities and Futures Commission (SFC) ruled that Samsung BioLogics intentionally violated accounting rules by changing the accounting treatment of its holdings in Samsung Bioepis in 2015. Under the ruling, the SFC has ordered the temporarily suspension of the trading of Samsung BioLogics’ stocks and recommended the dismissal of Samsung BioLogics’ CEO TH Kim and impose a fine of KRW 8 billion ($7 million). Samsung BioLogics’ share price has been declining over the past six weeks ahead of the SFC’s review. In May, Samsung BioLogics told this publication that the change to its accounting treatment in 2015 was due to the shift in status of its biosimilar drugmaker Samsung Bioepis from a consolidated to an equity-method subsidiary, done in accordance with International Financial Reporting Standards (IFRS). And in a statement sent to BioProcess Insider this morning, Samsung BioLogics apologized to its clients and shareholders for the confusion caused by the recent accounting issue and continued to stress its belief that no accountancy rules have been breached. “In 2016, not only did the due diligence from the Korean Institute of Certified Public Accountants (KICPA) conclude that there were no problems in the accounting treatment, but we also received an official response from the Financial Supervisory Service (FSS) and opinions from multiple accounting firms that the accounting treatment was indeed done correctly. The Commission has also ordered a review into delisting the company from the Korea exchange. However, “the possibility of delisting is extremely low,” according to Han Byung-hwa, an analyst at Eugene Investment & Securities. Meanwhile the SFC has imposed a fine of KRW 170 million on Samsung BioLogics’ auditor Samjong KPMG and banned it from auditing the company over the next five years for its gross negligence. “Deloitte Anjin will be barred from auditing Samsung BioLogics over the next three years for its negligence,” the Commission said.